Our livestock plays a special role on the farm. Pigs can be found turning over fallow vegetable beds or helping us renovate woodland areas, chickens and turkeys add nutrients to our hay ground and goats provide manure for our compost piles. Our cattle are intensively rotated to help cycle nutrients on our hay ground and pasture. All of our livestock is fed GMO-free Verified feed and is Animal Welfare Approved and is fed GMO-free feed and has access to unlimited fresh water. 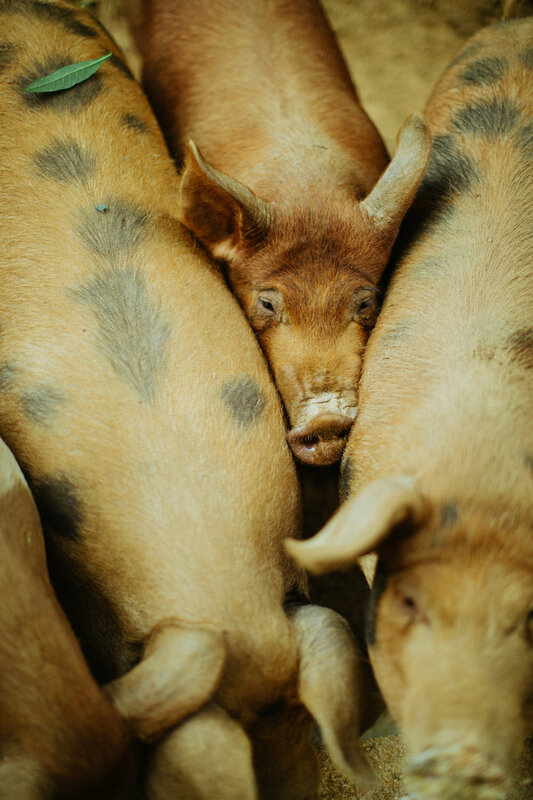 We raise a variety of pig breeds, including Duroc, Yorkshire, Hampshire, Old Spot and Hereford. We source our piglets from Melinda Brown at Never Ending Farm, as her farm is Animal Welfare Approved and her sows and piglets are raised with access to the outdoors. We added cattle to our farm in 2015. We source our weaned steers and heifers from Holly’s Dad, George, who farms in Ashe County. George raises Herefords, the same breed of cattle Holly’s Great-Grandfather raised, on some of the same land that the family has farmed for 200 years. The cattle are raised exclusively on grass and hay and only feed GMO-free grain as treats. Freedom Rangers are prized by consumers and chefs for the tender quality of their meat and excellent flavor. They have been bred specifically to be raised on pasture and to grow more slowly. As a result, they are excellent foragers and are hardy to the cool nights of our mountain climate. 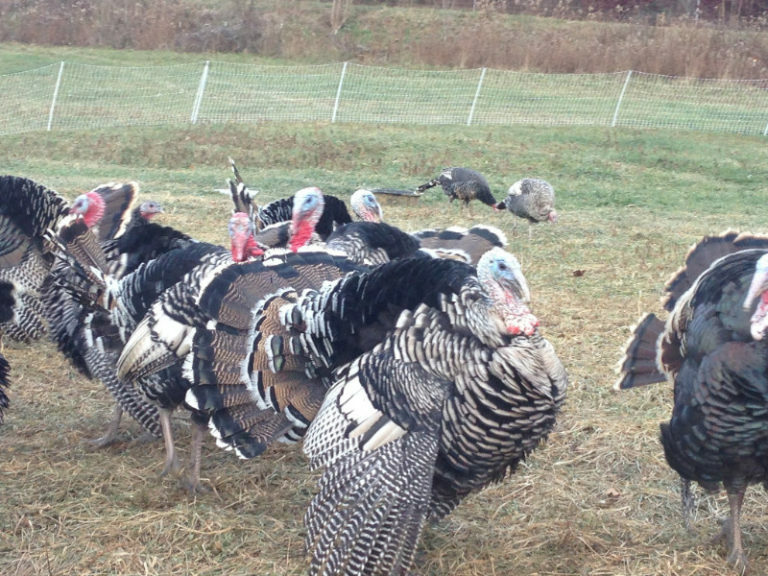 We also raise approximately 100 turkeys for sale during the Holiday Season every year. Just like the rest of our livestock, our turkeys are raised on GMO-free feed and pasture, and have unlimited access to fresh water. You can pre-order our meat online for pickup, join our CSA or sign up for a pig share by clicking the shop button below!